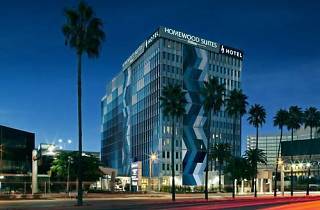 You can’t get much closer to LAX than this hotel directly across West Century Boulevard from the airport. Convenience is the name of the game here, with amenities such as a complimentary airport shuttle, baggage storage, breakfast buffet and wifi. 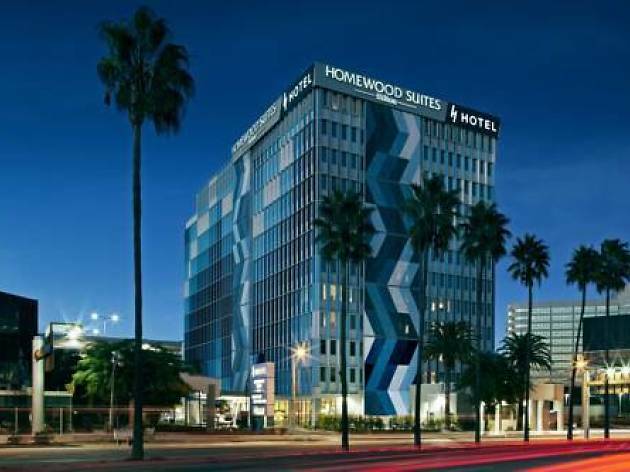 Locals will be happy to know that the Homewood Suites has on-site parking, if you need a place to leave your car before a flight. The digs are pretty nice, too: Rooms and suites are outfitted with sleek, modern furnishings in neutral tones with a few pops of color. Make sure to take advantage of the outdoor pool and updated fitness center during your stay. And if you’re coming into L.A. on a red-eye, the Coffee Bean & Tea Leaf in the lobby will fulfill all your caffeination needs. Neighborhood: The area around LAX can seem quite industrial, with all the parking lots, rental car companies and hotels. Leave the immediate airport scene for Manchester Boulevard, where you’ll find more shops, restaurants and locals going about their business. Time Out tip: When you grow tired of the pool, head to nearby Westchester Golf Course for 18 holes. The public course also features a driving range, if your swing needs a little fine tuning first.